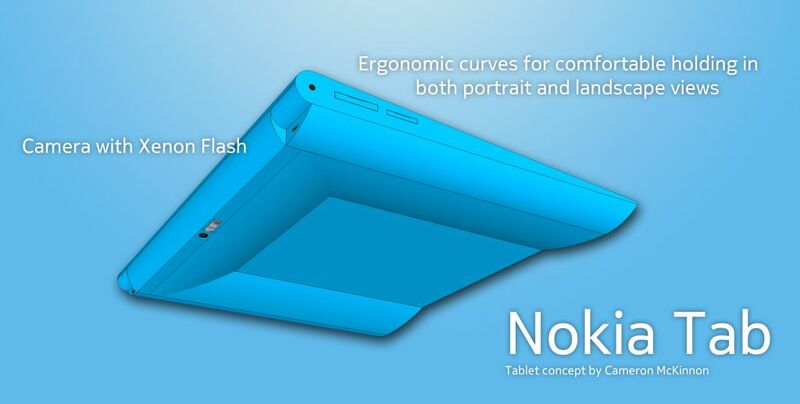 Today, I have a very impressive tablet concept named as Nokia Tab. The speciality of this tab is that it will be the first Nokia Windows 8 running device which will get the processing power from an ARM based processor. This design is created by Cameron McKinnon. The designer took inspiration from Nokia N9 Smartphone and Sony Tablet S. That’s mean it is a combo of phone and tab just like Galaxy Note. 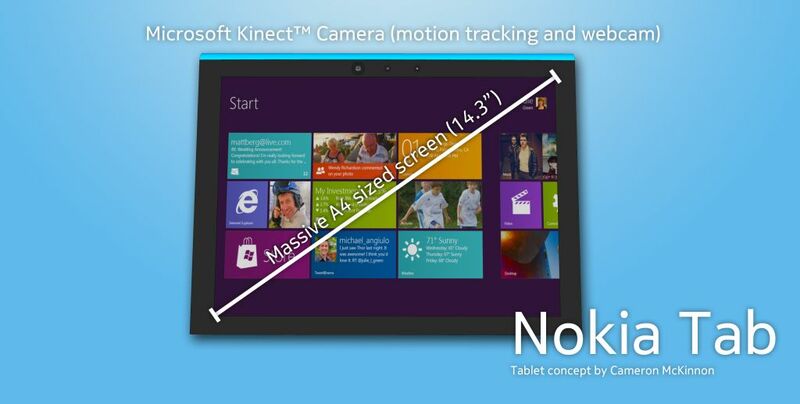 It comes with a big 14.3 inch display, a 12 megapixel camera with Xenon flash and Carl Zeiss lens, plus Microsoft Kinect motion capture support through a front camera. It is only 12mm thick. It would be quite comfortable for the users to hold the device is portrait and landscape mode. Nokia Windows Tab brings 1GB of memory, a 64GB or 128GB HDD . If this tablet concept turns into reality then we would like to see it with WiFi or WiFi + 4G models. 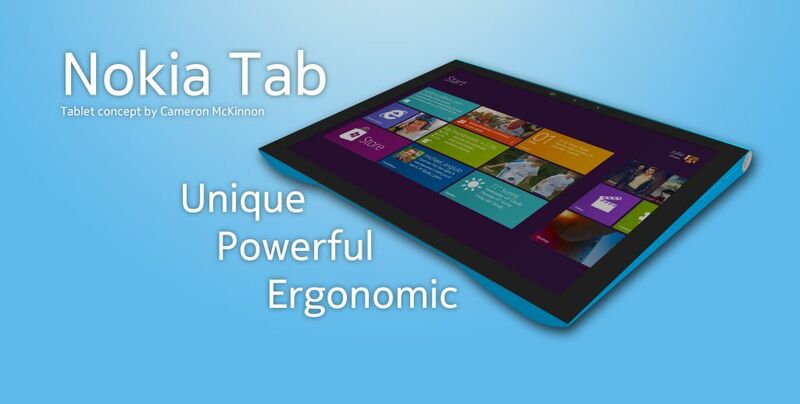 The screen of Windows 8 Nokia Tab is curved so makes the Windows 8 gesture very natural and appealing. This device has a SD card slot, a SIM card slot, USB 3.0 and micro USB 2.0 ports and a 3.5mm audio jack. 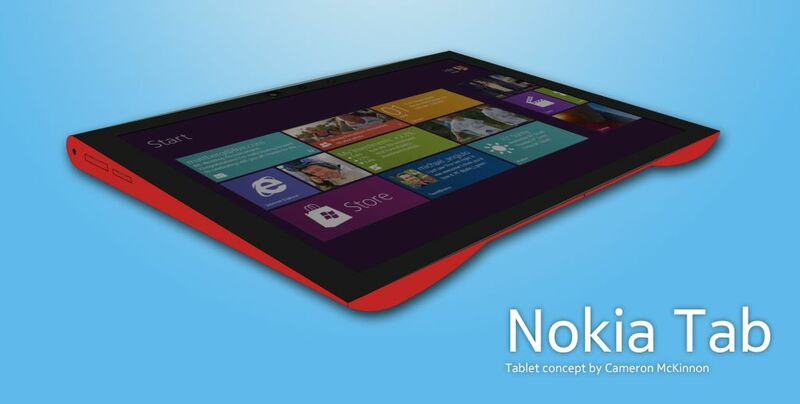 The concept, color, designs and structure of this Windows 8 Nokia Tab is really impressing. The buttons on it are embedded in the beautiful way so adding more beauty to the design. 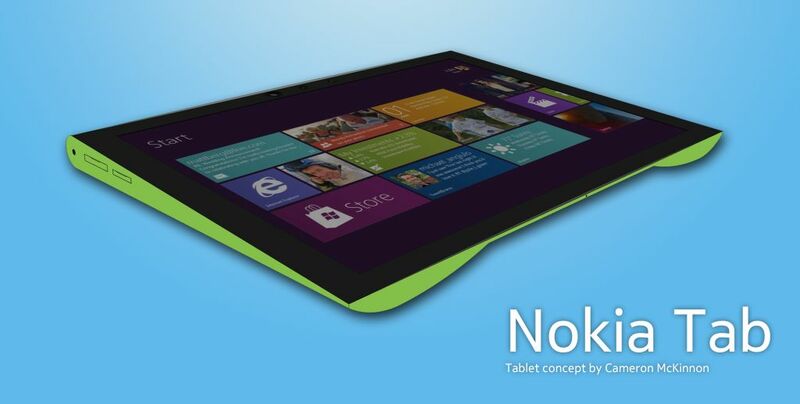 Would you like to see such Nokia Windows 8 Tab from Finland? Share with me. If You Missing Cassettes, Get Sharetapes and Enjoy!